Routier v HMRC  EWCA Civ 1584: appeared alone for HMRC in a case concerning the status of Jersey under EU law and the question of whether the inheritance tax treatment of charities should apply to non-UK charities. Hardy v HMRC : appeared as leading counsel for HMRC in a case concerning whether disposals of shares generated a capital loss eligible for relief under s.131 of ITA 2007. Mills v HMRC  UKFTT 378 (TC): led by David Goy QC for HMRC in a case concerning whether a bid for the America’s Cup constituted a trade carried on on a commercial basis with a view to profit. 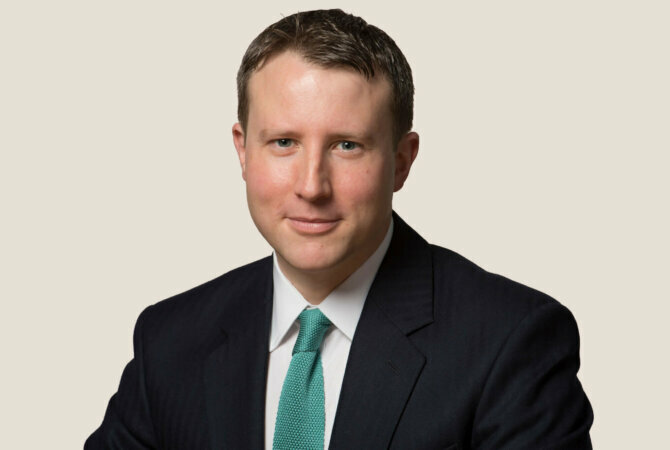 Reeves v HMRC  SFTD 765: led by Kevin Prosser QC for the taxpayer in an appeal concerning the application of hold over relief for the transfer of a hedge fund interest to a corporate vehicle and the compatibility of UK legislation with ECHR and EU law. Samarkand Film Partnership No.3  EWCA Civ 77: led by John Tallon QC for HMRC in a case concerning whether sale and leaseback activities amounted to a trade together with questions of legitimate expectation arising from HMRC’s manual. Connell’s Executors v HMRC  UKFTT 154 (TC): appeared alone in a case concerning whether a scheme involving QCBs avoided CGT. Sanderson v HMRC  4 WLR 67: appeared unled for HMRC in a case concerning the validity of a discovery assessment in respect of an avoidance scheme. Seddon v HMRC  SFTD 539: appeared alone for HMRC in a case concerning IHT exit charges in respect of a trust that had received scrip dividends. Gilchrist v HMRC  Ch 183: appeared alone in a case concerning the application of the IHT 10 year charge on a discretionary settlement. Giles v RNIB  STC 1631: appeared alone in a rectification case concerning a mistake as to the effect of a deed of variation. HMRC v English Holdings (BVI) Ltd  STC 220: appeared alone for HMRC in a case concerning a non-resident company and the interaction of the income tax and corporation tax codes. Towers Watson Ltd v HMRC  UKFTT 846 (TC): appeared alone for the taxpayer in a case concerning whether HMRC should be permitted to raise new arguments not identified in their closure notice. BNP Paribas v HMRC  UKFTT 487 (TC): led by Giles Goodfellow QC for HMRC in a case concerning whether dealing in a dividend strip was a trading transaction and the interpretation of s.730 of ICTA 1988. Biffa (Jersey) Ltd v HMRC  STFD 163: led by Sam Grodzinski QC for HMRC in a case concerning a scheme which sought to utilise s.730A of ICTA 1988. Loss Relief GLO v HMRC  EWHC 205 (Ch): led by David Ewart QC and Maya Lester on behalf of HMRC in a case which was a continuation of the Autologic litigation and whether a stay should be lifted to permit a reference to the CJEU. Iliffe News and Media Limited v HMRC  UKFTT 696 (TC): led by Philip Jones QC on behalf of HMRC in a case concerning the application of the transitional rules under para 118 of Schedule 29 to Finance Act 2002 (intangible fixed assets regime) to an internal assignment and licence back of newspaper mastheads. Devon Waste Management Ltd and others v HMRC  UKFTT 181 (TC): led by Sam Grodzinski QC on behalf of two of the appellants in major case concerning whether landfill tax was payable on the placement of “fluff” layers in landfill site. Lloyds Banking Group v HMRC  UKFTT 835 (TC): led by Andrew Hitchmough QC on behalf of taxpayer on an appeal concerning whether redundancy payments as part of an outsourcing arrangement were subject to VAT. Jazztel Plc v HMRC  EWHC 677 (Ch): led by Rupert Baldry QC for HMRC in a case concerning restitution of stamp duty on the basis that it was levied contrary to EU law. Birmingham Hippodrome Theatre Trust Ltd v HMRC  UKUT 57 (TC): led by David Milne QC on behalf of the taxpayer on an appeal concerning a Fleming claim for repayment of output tax. The issues in the appeal were (i) whether EU law recognized the concept of an “abusive” claim for repayment of tax and (ii) the proper interpretation and application of VATA 1994 s 81(3A) in circumstances where HMRC were otherwise out of time to assess overclaimed input tax for a different period than that which was relevant for the taxpayer’s output tax claim. R (on the application of the States of Guernsey) v HM Treasury & HMRC  EWHC 718 (Admin): led by Sam Grodzinski QC on behalf of the States of Guernsey in seeking a declaration that a draft clause in the Finance Bill 2012 removing low value consignment relief for goods from the Channel Islands was incompatible with EU law. R (Carlton) v HMRC  EWHC 130 (Admin): appeared alone for HMRC in a case concerning accelerated payment notices and whether the relevant scheme was a notifiable arrangement under DOTAS. R (Rowe & Vital Nut) v HMRC  EWCA Civ 2105: led by James Eadie QC, Sam Grodzinski QC and Gemma White QC in a landmark case concerning the lawfulness of the accelerated payment notice regime. Often appears unled against silks in cases for the Revenue, and also has a solid taxpayer-side practice. He advises on a broad range of matters including cross-border dividends and double taxation agreements. He has niche expertise in advising insurers on tax-related professional negligence matters. Has a niche specialism in tax and finance-focused professional negligence claims, which is greatly enhanced by his former career as a corporate financial analyst. He has advised on a wide range of financial claims relating to film finance schemes and offshore trusts, as well as faulty tax, accountancy and legal advice. He is often sought out by defendant insurers. He acts for both the taxpayer and HMRC on a broad range of indirect tax mandates including VAT and customs duties. He is particularly adept at handling matters involving VAT-related negligence.